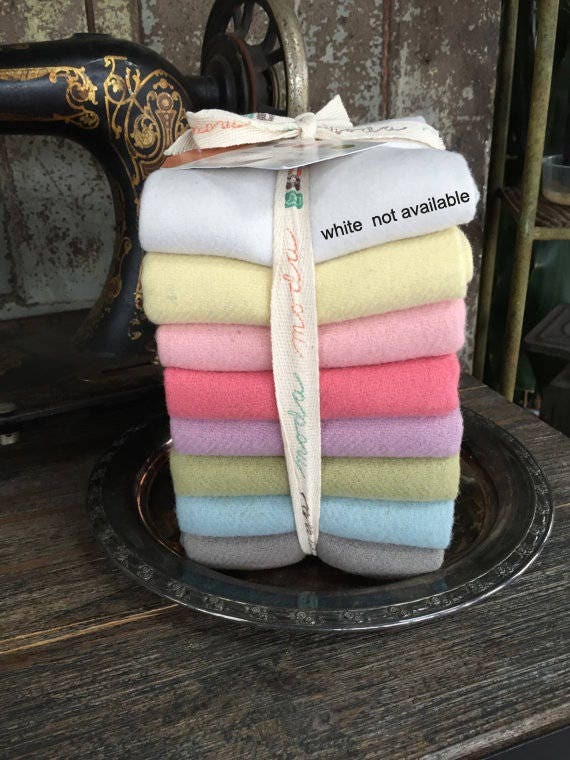 7 beautiful colors of pastel wool by Bunny Hill Design for Moda Fabrics. PLEASE NOTE WHITE WOOL NO LONGER AVAILABLE IN BUNDLE. 18" x 22" squares of soft, 100% high quailty wool. This fat quarter bundle features 8 super-soft wool fat quarters in yellow, light pink, dark pink, lavender, green, aqua, and gray. Perfect for any wool project that needs some lighter touches.